Matsuzakaya Ueno to hold “Happy Panda Week” to celebrate the naming of Ueno Zoo’s panda cub! A name will soon be given to the panda cub recently born at Ueno Zoo. Before the name is announced, a commemorative naming event will be held at the Matsuzakaya Ueno store. A kusudama will be raised to commemorate the naming of the panda cub and set the celebratory mood. 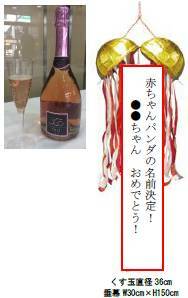 Sparkling wine will also be served. The food floor Hoppe Town will offer its products in special commemorative kakegami wrapping when you purchase bentos, sweets and other items. The panda cub’s name will be displayed! 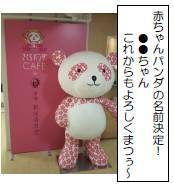 The panda cub’s chosen name will be written on a panel on a big model of Sakura Panda, the official character of Daimaru and Matsuzakaya. Panda food menu with lots of panda themed meals! 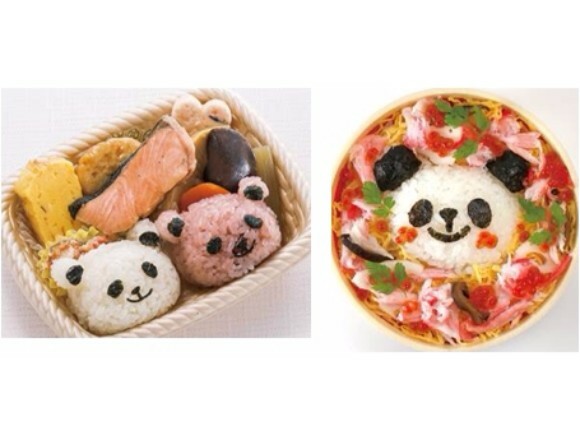 There will be around 30 different panda themed meals to get your hands on. Available until September 26th. Head on over to Matsuzakaya in Ueno to celebrate Happy Panda Week and the naming of the panda cub at Ueno Zoo! Running: On the day of the name announcement and following day. Running: After the name announcement. 3000 available. Running: After the name announcement. Available until September 26th.